One major concern of many homeowners when they find damage to their cooling and heating system at home is how expensive repair costs can get. While most HVAC units already come with warranty coverage, there are still other expenses such as labor that can certainly hurt your budget when you’re not ready. There are also times when certain brands or pieces of equipment only come with a specific warranty period. For instance, some air-conditioners are only covered by manufacturer warranty for say a year or two. In the event that an AC breaks down after that warranty period, you may have to spend more than expected for repairs. Thankfully, you can reach out to Eggert Cooling & Heating Solutions for extended warranties so you will never be surprised with unexpected expenses like these. 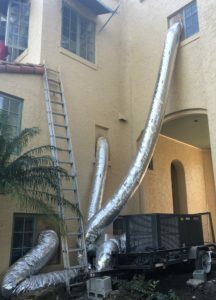 We will help you find ways to solve warranty concerns and issues that may come up with regard to the cooling and heating system in your property. Best of all, we can give you the assurance that we offer fair and reasonable rates without sacrificing the quality of our service. Experts in cooling and heating will assist you with your service needs. We service areas in Orlando, Clermont, Apopka, Winter Park, Lake Mary, Maitland, and nearby communities in Central Florida. To learn more about extended warranties and to get free estimates for our services, call Eggert Cooling & Heating Solutions today. One of our expert staff can assist you. You may reach us at 407-252-3785.